So far we’ve covered the first three attributes on the List of Kingdom Preparedness, and two of them are associated with either punishment or testing. When the second attribute is lost and believers act disobediently, Yah punishes them until they repent and get back on the straight and narrow path, or else their sin is allowed to mature to a point that it requires the full penalty for sin, that being dying in sin. But acquiring the third attribute, which is faith, always comes with testing, for only through tests of faith can faith be allowed to grow. I say all that to say this: do not confuse punishment with testing. Many times I hear Hebrews saying how hard their lives are and, “If your life isn’t particularly hard then you’re doing something wrong.” For those believers, there is no rest for their souls, and Yehsua’s burden is not light, and his yoke is not easy as he promised in Matthew 11 verses 29 and 30. These Hebrews are miserable and downtrodden in this walk, but many, many times Scripture says the opposite will be the case for those who are obedient and strong in faith. 1 How blessed are those whose way is blameless, who walk in the law of Yah. 2 How blessed are those who observe His testimonies, who seek Him with all their heart. In both of the preceding verses the word “blessed” is word H835, esher, which carries the chief sense happiness, followed by the sense blessedness. So to be esher is to be happy. “How happy are those whose way is blameless, who walk in the law of Yah. How happy are those who observe [or obey] his testimonies. . . .” Joy and happiness are the result when you are fully obedient to Yah, not personal sorrow and constant heartache due to negative circumstances that befall you. 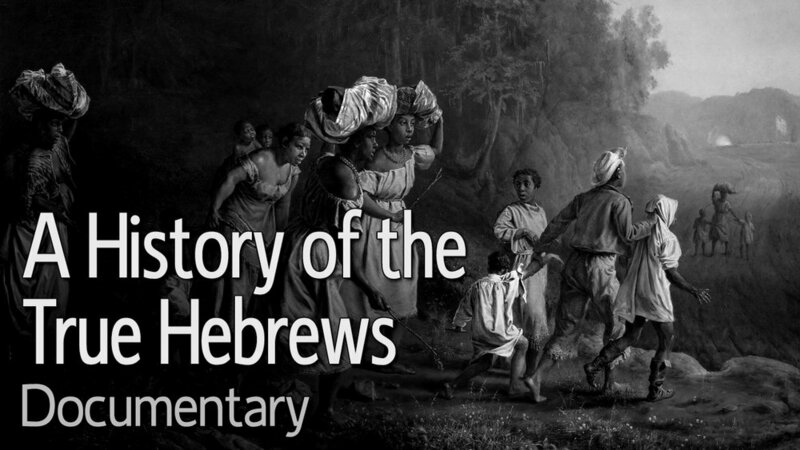 Many Hebrews have no peace in their lives, but what did Yeshua himself say concerning this? This goes for all those who follow him. The faithful and obedient who hear and do will have true peace in their lives, and their hearts will not be troubled. That does not mean that times of testing will not come. Those times will come, but we are told to “count it all joy,” in James 1 verse 2 when they do. But what is punishment from Yah, and what is testing of faith? In my experience, a test would be getting a flat tire, or being stuck in heavy traffic when you’re on the way to an important appointment. In such moments, Yah wants to see where your faith is, how patient you are, and how quickly you will lean on him for aid. But that kind of testing is often short-lived, and once you get through it you should come out stronger in faith and appreciative of Yah’s goodness and mercy. On the other hand, using a similar scenario, having your car impounded, which is the only means of getting to work, and being forced to pay hundreds of dollars you don’t have to get that car back, would be punishment, particularly if that event launches into a series of other unfortunate ones. So if your life is beset with constant hardship, strife, and sorrow, it is fair to say that you have gone off the path at some point, and it is time to realign with the will of the Most High by being completely obedient. That means you’ll have to dig deep in the Word to see what you need to do to get right with him, because something is lacking. The truth is, though, many times Hebrews already know where they’ve gone wrong, but a stubborn heart keeps them from making a course correction, hence the barrage of punishments from Yah. So your works, which are commissioned by Yah, are in fact a means of loving your neighbor as yourself. But what kind of works are we talking about specifically? Well, for one thing, showing forth the first three attributes in and of themselves can qualify. What do I mean by that? If you live out the attribute of hearing and obeying and exercising faith in Yah and his son for all to see, you are working in the field by doing this. It could be a show of light to those in your family, who will witness your spiritual conduct and either be convicted or condemned by it. We should be doing this regardless—at home, at our places of work, and in every public setting. Always let your light shine, in other words, because you are an active representative of the Kingdom of Yah once you acquire attribute 4. And his workers represent in different ways. We are all given various abilities to aid us in that work, but many choose to sit on those abilities and do nothing with them, or they try to get paid for those abilities. Many of us think that because we can sing or paint, or write, or possess an aptitude for all manner of things, we need to be compensated handsomely before we let that skill be known or showcased, when it is Yah who gives these talents to all. 30 Then Moses told the people of Israel, “Yah has specifically called by name Bezalel son of Uri, grandson of Hur, of the tribe of Judah. 31 Yah has filled Bezalel with the Spirit of Elohim, giving him great wisdom, ability, and expertise in all kinds of crafts. 32 He is a master craftsman, expert in working with gold, silver, and bronze. 33 He is skilled in engraving and mounting gemstones and in carving wood. He is a master at every craft. 34 And Yah has given both him and Oholiab son of Ahisamach, of the tribe of Dan, the ability to teach their skills to others. 35 Yah has given them special skills as engravers, designers, embroiderers in blue, purple, and scarlet thread on fine linen cloth, and weavers. They excel as craftsmen and as designers. 13 Now King Solomon sent and brought Hiram from Tyre. 14 He was a widow’s son from the tribe of Naphtali, and his father was a man of Tyre, a worker in bronze; and he was filled with wisdom and understanding and skill for doing any work in bronze. So he came to King Solomon and performed all his work. 10 Let every skillful man among you come, and make all that Yah has commanded. Following the acquisition of attributes 1 to 3, those who refuse to acquire attribute 4 by using the gifts he has given them cannot be used in his service. Those refusing to let their light shine before all cannot be used in his service. And those who refuse to do works, that is, kingdom work, cannot be used in his service. And all the other 3 attributes will be stripped from them as well. Let’s take a look at a very important parable Yeshua spoke before leaving this earth. 11 The crowd was listening to everything Yeshua said. And because he was nearing Jerusalem, he told them a story to correct the impression that the Kingdom of Elohim would begin right away. So, we know the nobleman represents Yeshua. The distant country is heaven, and he was crowned king by the heavenly Father. Before leaving earth, Yeshua entrusted his servants with the equivalent of talent, abilities, skills and learning, and other qualities they were to use to grow the kingdom, hence the investment aspect. You invest with the hope of a greater return. At his second coming, he will deal with those who rejected him as king, and he will also call to account those whom he commissioned to invest his gifts in his absence. Some who have received their talent, abilities, skills, learning, and other qualities from Yah will have yielded ten times their collective worth, by drawing many to righteousness through those special gifts. This could be via a spiritual radio station program you host, or call in to with words of encouragement or testimony, YouTube videos you post up, helpful articles you publish, songs you compose, record, and distribute, books you write and distribute, or even the people you visit to comfort and share the good news of redemption with via these and other materials. There are so many ways to yield a return by investing in the kingdom via good works the list is virtually endless, but only Yah can reveal what your true gift is and how it is to be used. Others with lesser abilities are still counted and valued for their return, or yield. And this trickles down even to the least able, but those who have done nothing to grow the kingdom via the gifts Yah has rewarded us will suffer a severe penalty when the time comes—and that time is not far from now. The ones who hoard their talent and abilities and contribute nothing to the kingdom are represented in the third servant who said, “Master, I hid your money and kept it safe.” This shows that the servant failed to hear the Master’s instruction, obey it, and exercise faith in fulfilling that instruction, therefore no works were performed toward the Kingdom. Everything is therefore stripped from this servant in verse 24. Back in verse 21 we see that the wicked servant also had a corrupted view of his Master, saying he was a hard man to deal with who takes what isn’t his and harvests where he didn’t plant. Many are out in the field right now who do not have a proper understanding of the Most High and his son. They only seem hard to deal with when we fail to do what we are supposed to and they respond accordingly. And as to the thought of the Master taking what isn’t his, Psalm 50 verse 12 and Job 41 verse 11 reveal that the whole world and everything in it belongs to Yah. The point is, we must be the light of the world by doing kingdom work: living out the laws and dispensing them via words and deeds to the masses, as well as testifying of the Messiah. And there are many ways to do this. What matters is that others are brought to repentance through these efforts and are given an opportunity to acquire attribute 1 for themselves, leading to the others on the List of Kingdom Preparedness. But we cannot jump to attribute 4 and start spreading light we think we have without first acquiring: hearing, obedience, and faith. Many are jumping to attribute 4 without taking the proper steps, and they are instructing others to take specks out of their eyes while big beams are still in their own eyes. (See Matt. 7:4, 5) Only when the other 3 attributes are in place can you then head into the field and contribute to the work of the great harvest, and this will be attribute 4 properly applied to the fullest. This will put you in a position to acquire the fifth and final attribute on our Kingdom Preparedness List, which we will cover in our last scripture study video in this five-part series. Shalom!